Different people have different choices. Some people prefer larger screens, attached keyboards and greater flexibility of laptops instead of mobile devices. And some prefer smaller screens, portable keyboards, and mouse for easy access or even tabs. If you are one of those who are looking for larger screen laptops but doesn’t want to break the bank on your next purchase, these laptops deliver great power and use for less than $500 for a new machine. We have covered a wide range of laptop price ranges in the reviews, but the under $500 price point seems general with people who want a suitable computer at a budget-friendly price. If you buy second-hand machines, it will not last for several years although. And that will be a total waste of money. So, you should first outline all the requirements according to your budget and jot it down. We will help you find the best range of laptops available in the market in your budget and then you can decide which one fits according to your necessities. So many laptops of different brands exist with so many different and unique features that it can be challenging to choose the right one for yourself. We have gathered the details of best laptops available for under $500. They all have the best and upgraded technology with latest processors in the price range you are looking for. Now you do not have to worry about doing so much hard work in researching the laptops because we have done it all for you. Below are the mentioned laptops in the best range You can surely make a purchase and know you’re getting a great value. Though nowadays laptops are pretty expensive, there are affordable choices available. It might mean some reductions on the behalf of the manufacturer, but you can usually find a solid and dependable solution for $500 or less. Inexpensive laptops are a great instance of this, and they are used for regular jobs such as surfing on the internet and creating Excel sheets or presentations. These sort of laptops are not heavyweight on hardware, and they do not offer excellent graphics display or big amount of RAM; so they’re not ideal for powerful gaming or severe multitasking, but you save a good amount of money and still hold the desirable basics in a laptop. As it is said, budget laptops are designed to meet your budget, so manufacturers eradicate fundamentals that are not challenging, such as solid-state drives. These cuts are not incapacitating to the laptop’s performance, however. Best Budget laptops are robust, built in a compact manner, and come with user-friendly and comfortable keyboards and touchpads. Overall, budget laptops can be seen as a great preliminary step for someone who is using the computer for the first time, and basically needs to perform ordinary tasks. Most likely, you are not a brand-new consumer and have in mind what features are most vital to you in a laptop. For example, the inconvenient hauling of a 17-inch laptop, or the streaming Netflix movies that accompany small 11 inch notebooks might be an unavoidable let-down. However, there are many choices depending on what specifications you believe most valuable, so there will always be something for you. In addition, there are always exceptions to the rules. Touch Screens: Useful, or Unsuitable? Due to the increasing demand for touchscreen tablets, many manufactured laptops now have touchscreen options. As you must be knowing that Windows 8 and Windows 10 was one program produced with this in mind, and it is indeed true that many customers need touchscreens over the more traditional keyboard and trackpad arrangement. However, touchscreens are not the best solution and are actually loaded with many downsides. The first disadvantage is the rise in laptop prices. This quality alone will raise the cost of the laptop. Second, they are not always as user-friendly as they seem to be. Touchscreens are more adequately designed for tablets but can become entirely a botheration when unsegregated with a laptop. Extending forward in order to touch the screen lends an annoying position to the user. In an attempt to correct this obstacle, some manufacturers have attempted to compensate by building laptops where the keyboard can be folded behind the screen. Basically, the laptop will become more like a tablet. Because the quality of these designs varies greatly, it is wise to explore these options in more details before deciding to purchase any laptop. Slim innovative design, modern hardware, and a really affordable price tag of $509 make the VivoBook F510UA the most admired laptop on our list. It will be the best bang for your buck if the use case is typical. So, let’s take a closer look at this VivoBook. The CPU inside is an Intel Core i5-8250U from the latest generation of Kaby Lake R processors. It is clocked at 1.60 GHz and can turbo boost up to an insane 3.40 GHz. With all the goodness of 4-cores with 8-threads, thanks to hyperthreading. If we compare it with the previous generation of laptop processors, it outperforms the similarly priced i5-7300HQ. It also has a larger L3 cache of 6M. This VivoBook comes with 8 GB of RAM which works wonderfully well with the considerable processing horsepower of the CPU. You can multitask, run multiple VMs, stream multimedia, all at once without any noticeable change in the responsiveness of the system. General use cases, like checking emails, streaming high-resolution media on Netflix are all trivially easy for this device. The Acer E5 is one of the first models to have come out with both the latest CPU and GPU available in the market at this time. Eager early adopters might want to take a peek as well as college students and budget-conscious gamers. Priced at $599 this is a marvelous model has earned the editor’s guidance for many nice reasons. The CPU is an Intel 8th gen i5-8250U with 4 cores and hyperthreading enabled which allows applications to consume up to 8 threads if the workload is multithreaded. It is clocked at a base frequency of 1.6GHz but can turbo boost up to 3.4 GHz which means it can work longer consuming low power or do intensive workload depending on what you desire. Next up, for storage, we get a snappy and spacious 256 GB of SSD offering ample storage for your game library and for the media files as well. SSDs are always a welcome addition to any laptop, they improve its responsiveness. The loading screens on your display become considerably less annoying and much shorter and your PC boots in mere seconds. With a beautiful white body, touchscreen and future-proof hardware, the Dell Inspiron provide a spellbinding, laptop priced at competitively at $568. 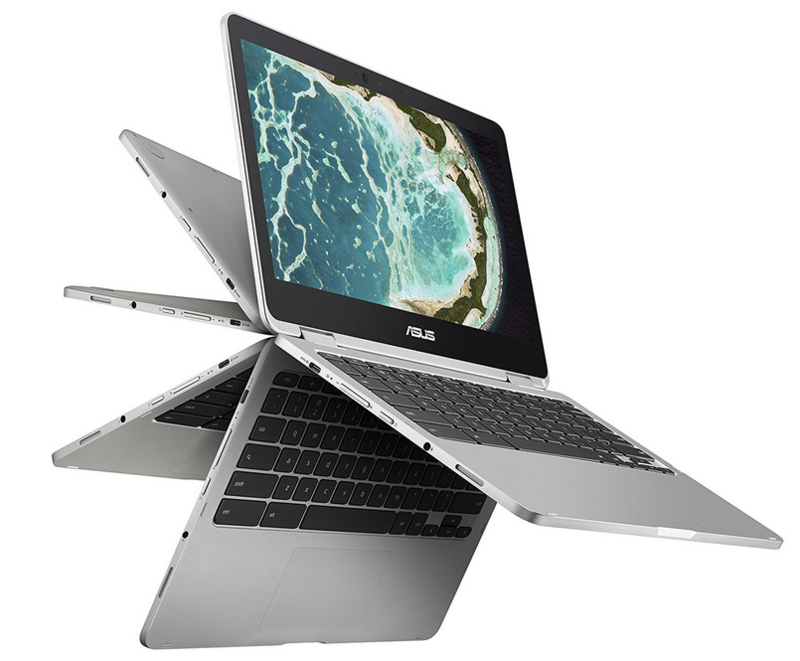 The CPU inside is an Intel 8th gen i5-8250U which we have seen in the Asus VivoBook above. It is a 4-core, 8-thread part with clock speeds reaching up to 3.40GHz. This is quite a bit more powerful than most of the previous gen processors and comes with 6M of Cache to further its performance. 8GB of standard laptop memory kit is more than enough to work wonders with this beefy CPU. Given that the price is still quite low, we fail to see any SSD in this product as well. Instead, Dell has decided to go along with its competitors and install a 1TB HDD which hampers the responsiveness of the system but offers larger storage capacity. If you were to install an SSD instead, it would be limited in storage capacity, but the IOPS would be so high that your system will boot in just a couple of seconds and your programs will load in no time. The 15.6-inch display has a resolution of 1920 by 1080 built with IPS technology and up to 10 fingers of multitouch support. This makes it a really remarkable sketching tools for designers and content creators looking for a low budget device to start with. The beautiful silver-white body looks professional and appealing at the same time. The keyboard is backlit and ergonomically designed so you can work long hours on this device. It weighs 4.85 pounds and is 0.89 inches thick with an average battery life of up to 5 hours. Portability wise it is not a bad option; the only crutch is its poor battery life. For connectivity, we have Wireless 802.11 ac, Bluetooth 4.2, Ethernet port, 2 USB 3.1 port, 1 USB 2.0 port and an HDMI port. If Internet connectivity is a problem for you, you might not want to consider this. Document editing is not big deal with Google Docs catching up with MS Office. Also, MS office does have an online version to use in your browser. That said, it does have some perks over Windows 10. First, Chrome OS is meant for low spec devices. It takes less energy, it can run off of weaker processors and it needs a very small amount of space on your storage. Making it a worthy contender on the budget notebook range. The price point of $500 offers a variety of options ranging from a standard 15.6-inch laptop to ultrabooks and Chromebooks. Thanks to the newest coffee-lake processors you don’t need an expensive i7 anymore to handle the rigorous workloads anymore. You can do it easily on your laptop. The options for aesthetics are similarly multiple and full of decent choices. For office work and college or school students, the better portability is much more important. You can spend your entire day without having to worry about running out of battery and without carrying a heavyweight in your backpack. There are although, certain use cases which require Windows PC or the x86_64 architecture of Intel and AMD. Not all programs are features are provided for the portable devices just yet, and it is here that you should go for the more robust although the slightly heavier option of having a regular laptop. Developers might also prefer higher computing performance lightweight. Understanding your own necessities is the only thing that remains now before you pick one of these laptops. The most recommended Asus VivoBook offers the best bang for your buck in this quest although people with different preferences might want something small, rather than something powerful. In those cases, the Ultrabooks would serve you well and good. You can go through all other models of various other brands available in the market and then decide according to your requirement which one is more affordable for you.